Main Characters: Viola or young Mrs. Wither ( 21 year old widow of Teddy ), Mr. Wither (Viola’s father-in-law), Mrs Wither (Viola’s mother-in-law), Madge (elder daughter of the Withers), Tina (younger daughter of the Withers), Saxon Caker (the Wither’s chauffeur and Tina’s love interest), Victor Spring (rich neighbor of the Withers and Viola’s love interest), Hetty (Victor Spring’s orphaned cousin). Book Setting: Rural Essex (England) in the late 1930s. Short Synopsis of the Story: Recently widowed and impoverished Viola Withers finds herself forced to live with her in-laws -the Withers in their dull, gloomy country house in Essex. Mr. Wither is obsessed with his money and investments. Madge the elder daughter longs for a companion and finds it in a newly adopted dog. Viola finds a companion in Tina who has a secret obsession for their handsome chauffeur Saxon. Viola meets their rich neighbour Victor Spring and finds in him her Prince Charming. Whether Victor Spring reciprocates her love and fully appreciates the seriousness of her regard is however another matter. 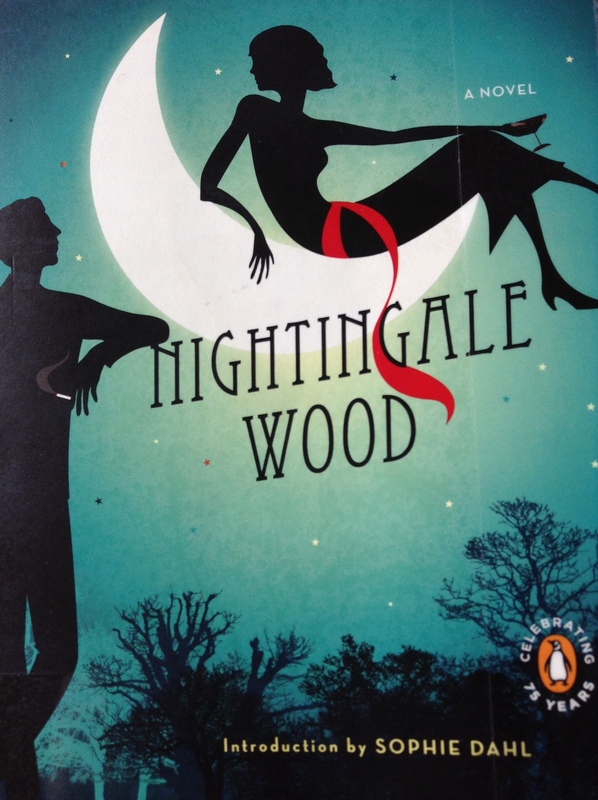 Thoughts About the Book: Superficially, Nightingale Wood is the quintessential Cinderella story. If the relationship between Viola and Victor Spring had been the soul focus of the book- then perhaps Nightingale Wood would have been a good but unremarkable story. However, the book has many layers to it. There are many relationships and stories that are simultaneously unravelling before our eyes. There is the unconventional relationship between Tina and Saxon. Herein, Gibbons shows us that money and status can overnight convert the opinions and regard of the English middle class. Whilst Viola longs for the sparkling, gaiety filled social life that the Spring’s enjoy, Hetty longs to leave her privileged existence at the Spring household and is fascinated by the gloom, austerity and ‘Chekhovian’ atmosphere of Mr.Wither’s house. Gibbons narrates the story with great finesse. The fairy tale like romantic scenes of the book are described with beautiful language and description. Where I find Gibbons excels is her ability to bring the reader down to earth with her juxtaposition of romantic description with down to earth wit. The following is a description of events and Tina’s feelings upon returning home to their dour house after a romantic summer ball and saying goodnight to her love Saxon. The moonlight, the stillness of the woods, the solemn glimmer of tiny stars, acted powerfully upon her senses. How pure the moonlit air smelled! moving very slowly across miles of country where hawthorn and bean-blossom, orchards and gardens, could yet out-perfume the towns and garages, as they had conquered the middens of Charles II’s day. The old earth keeps her sweetness. And I have to go indoors, to bed, thought Tina, with all this beauty outside. I should like to drive all night, away to the sea. She could hear, in fancy, the long waves rolling in. Mr Wither shut the front door. ‘Oh dear, I am so tired.’ Mrs Wither patted away a yawn and ruefully bent to rub her evening shoe, wherein a faithful corn was undergoing martyrdom. Conclusion: I thoroughly enjoyed this book. There were many interesting characters and events to enjoy along with Gibbon’s exceptional descriptive storytelling and humour.